We are backed by a capacious warehouse, which is well-equipped with all the requisite facilities. It is well-segmented into different sections for an easy accommodation and labelled storage of our collection of Office, Modular Kitchen, Lab, School & College Furniture. This unit has large storage capacity and is properly ventilated to avoid any kind of damage to the products. Due to the in-depth knowledge of our warehousing experts, we have been able to keep our products best-in-form & condition without degrading their physical properties. We have setup a state-of-the-art infrastructure facility, which sprawls across a wide area and is situated at Pune, Maharashtra. 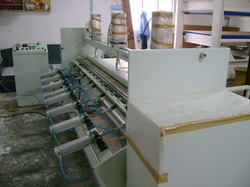 It is well-segregated into manufacturing, in-house design, quality control and warehousing units. All these units are manned by our experts professionals and work in a coordinated manner to carry out the production and post production processes successfully. 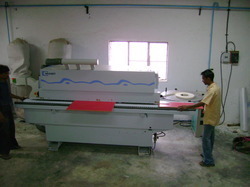 Our manufacturing unit is installed with latest machines that are regularly checked to ensure their effectiveness. Apart from the above mentioned machines, we are also facilitated with an in-house design unit, which helps us in offering our range of Modular Office, Modular Kitchen, Lab, School & College Furniture. in vivid patterns and designs in accordance with the clients' requirements.